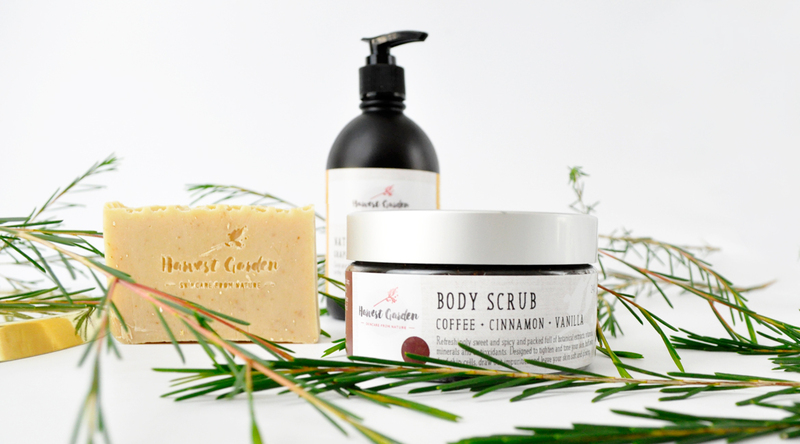 Harvest Garden is a much loved Aussie brand that makes some of the best natural skincare products around. They have recently re-branded with a fresh new look that is chic, modern and sophisticated. Their new product lines include liquid soaps, bath cubes and lovingly handcrafted soap bars made with premium ingredients harvested from nature. All products are completely natural without any harmful preservatives and nasty additives. Today I will be featuring some of my favourite skin loving essentials: The Natural Liquid Soap | Grapefruit + Cedarwood, Natural Handcrafted Soap | Honey + Oatmeal, and their Body Scrub | Coffee + Cinnamon + Vanilla. The Natural Handcrafted Soaps are made in the old, traditional way using the “cold process method. These premium artisan soaps are a delicious blend of sweet almond oil, coconut oil, olive oil, and macadamia nut oils. Dried botanicals, spices, and essential oils are then sprinkled in to add soothing, healing and invigorating aromas. The calming and gentle Honey + Oatmeal soap bars are ideal for dry, itchy skin (can also be used on the face and body). This cleanser/exfoliant buffs away dead skin cells, treats acne, eczema, rosacea, and rashes leaving my skin soft and revitalized. 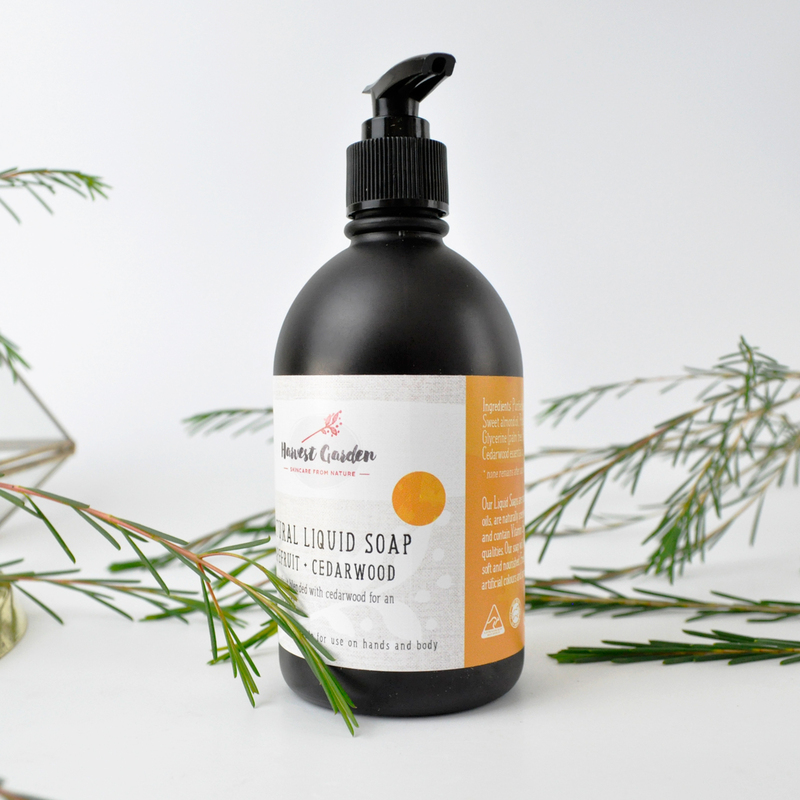 The luxurious Natural Liquid Soaps are made with premium quality plant oils, essential oils, extracts and vitamin E. They form a creamy lather, providing a deep cleanse without drying out the skin. Harvest Gardens‘ zesty Grapefruit + Cedarwood cleanser is designed to deeply cleanse, regulate oil production, fade scarring and aid in brightening the skin. This rich cleanser nourishes my skin leaving it smooth and rejuvenated. My weekly skincare routine always includes a body scrub to buff away dead skin cells and boost collagen production. 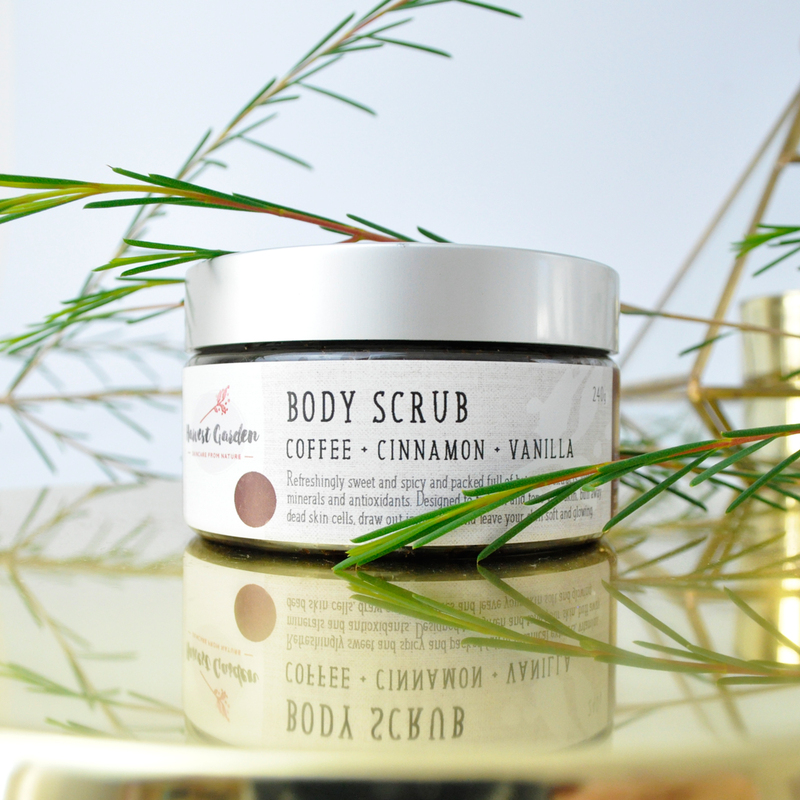 This Coffee + Cinnamon + Vanilla Body Scrub helps improve tone and texture, drawing out impurities to reveal a more radiant and healthy-looking glow. I love its sweet and uplifting spicy aroma as it induces feelings of calm and relaxation. Every day can be an at-home spa day with these luxurious skincare goodies! How to use: Apply to damp skin whilst in the bath or shower. Massage in a circular motion then rinse off after five minutes. Have you tried any products from Harvest Garden before? What are some of your favourite natural skincare products? Head over to www.harvestgarden.com.au to shop online or find out more about their extensive range of products. 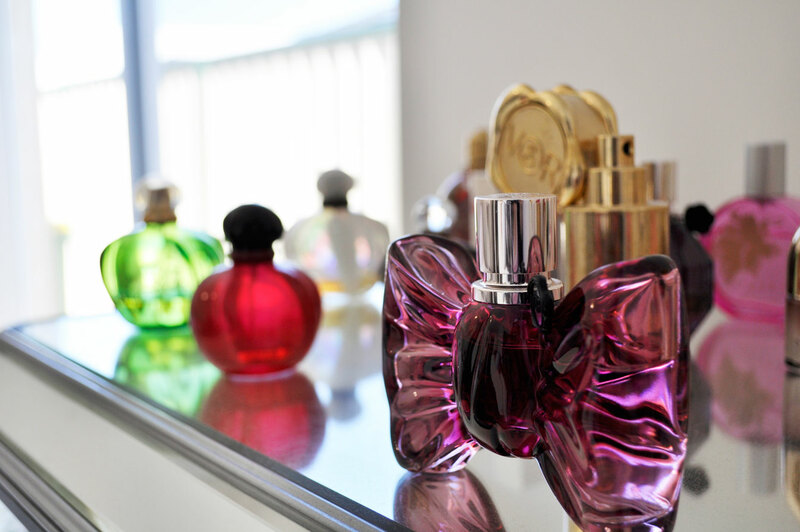 These sound so awesome girly! I love Harvest Garden soaps, they are so lovely! Yes 🙂 They are so beautiful! I need to try their pink clay mask now, it sounds fantastic! Handcraft sound so amazing already. 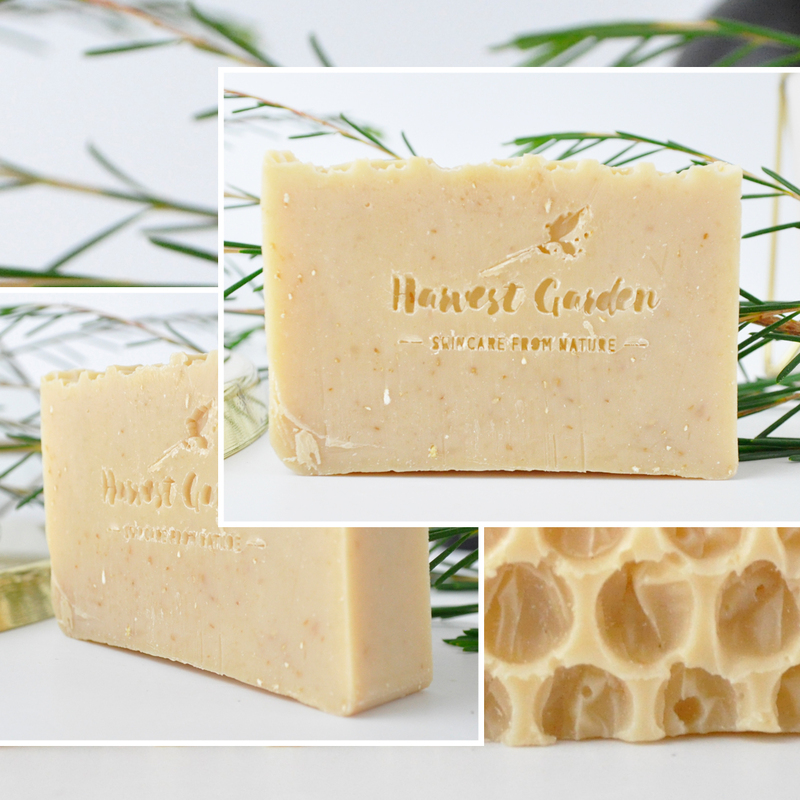 Honey and oatmeal soap sounds so delicious. I want to try them all! Thanks for introducing these products and amazing brand. Thanks Fiona. This soap feels fantastic on the skin! I highly recommend you try it. You are on fire with the skincare lately Amy! The soap sounds amazing for my skin – adding it to my neverending list!! Thank you so much Ebony! Their soaps are truly amazing! I love knowing exactly how and where something is manufactured! Great post! Thanks Rosa, natural ingredients are always the best! Yum now I’m craving a cinnamon roll! The honey & oatmeal bar soap looks lovely. I hate soaps that are drying and harsh! I’d be tempted to eat a spoonful of that body scrub… ha! You had me at cinnamon! Coffee, Cinnamon, and Vanilla is a great combo! And of course, that coffee scrub looks like the best thing ever. I have been obsessed with coffee scrubs lately.